Chinese New Year Super Promotion! Now you can enhance your dance and study with Argentinian Master Gabriel Glagovsky. From now on, the PractiClass has moved to Wednesdays! Come to enhance your dance and bring all your questions. Afterwards, if you want to keep dancing, you'll have a special discount for Kai's Milonga. The perfect plan to dance during the week! ​​2019 is coming. Is time to plan your new year! ​Till Dec. 31th we offer big discount in private lessons packs. 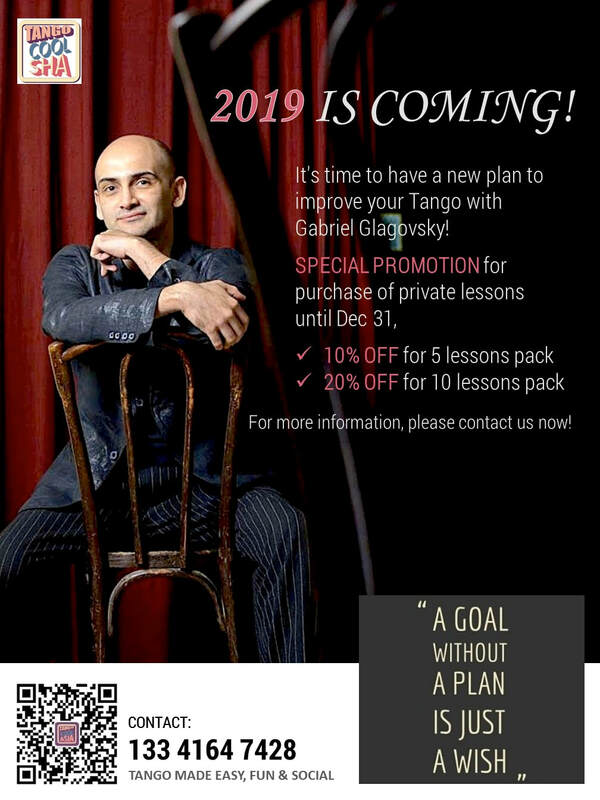 Don't miss this opportunity and enhance your tango definitely! The regular price of private lesson is 1000RMB. We provide studio and one drink.